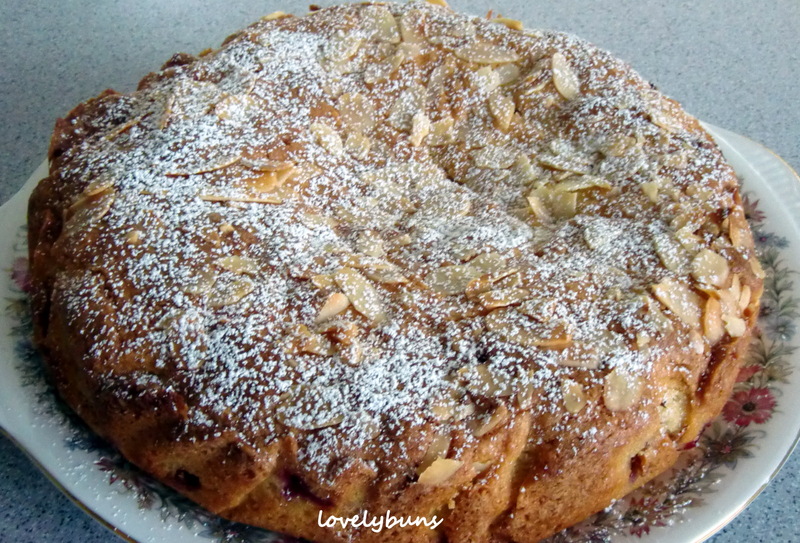 This is a really fresh moist cake made with almonds and raspberries. 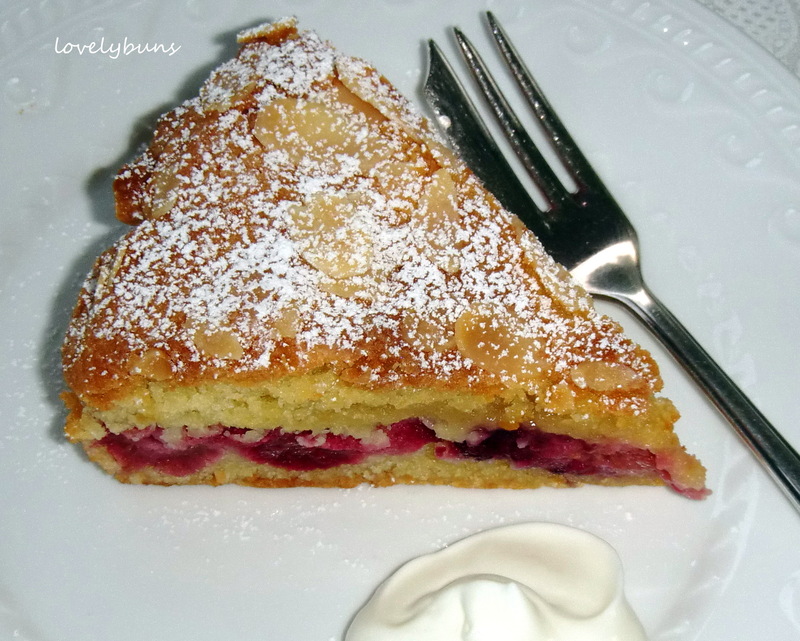 It’s juicy and the slight tartness of the raspberries sets off the almonds brilliantly. It’s a wonderful one-bowl recipe and after making it more than a dozen times, has always given great results! How to: Whiz the ground almonds, butter, sugar, flour, eggs and vanilla in a food processor until well combined. If you don’t have a processor, beat the softened butter and sugar together, then add the other ingredients and mix together using a wooden spoon. The mixture is pretty thick so use a spoon to scoop half into a 20cm tin lined with grease proof paper and smooth the top using a fork dipped into boiling water – this stops the mix sticking to the fork! 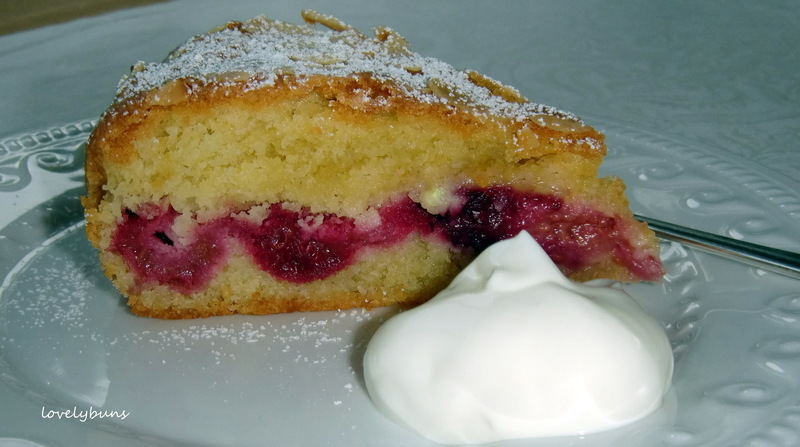 Scatter the raspberries over, pressing them gently into the cake-mix, then using a teaspoon, spoon small blobs of the remaining cake mixture on top and roughly spread it about (using the boiling water trick again) until the raspberries are covered. If the bobs are too big, the spreading is more difficult. 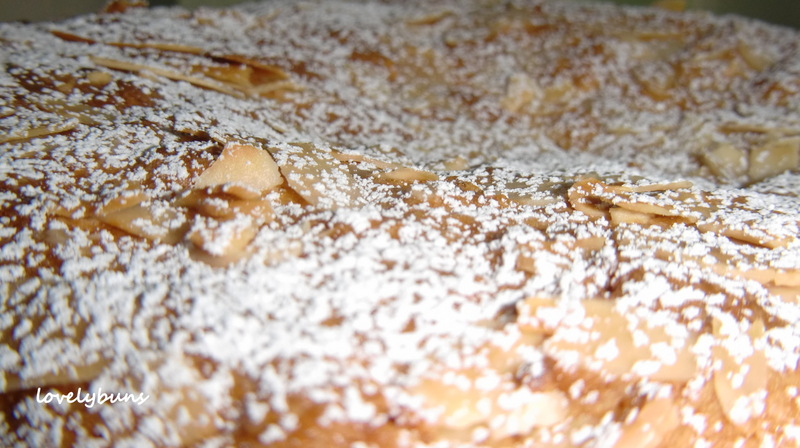 Scatter flaked almonds over the top and bake at 160° for 60 mins until golden and a skewer comes out clean after being poked into the cake. Cool, remove from the tin and dust with icing sugar to serve. This is delicious served warm with crème fraîche, or greek yoghurt but also great when eaten cool the next day. It can be made a day in advance and warmed before serving or it can be made way in advance and frozen wrapped in cling film. 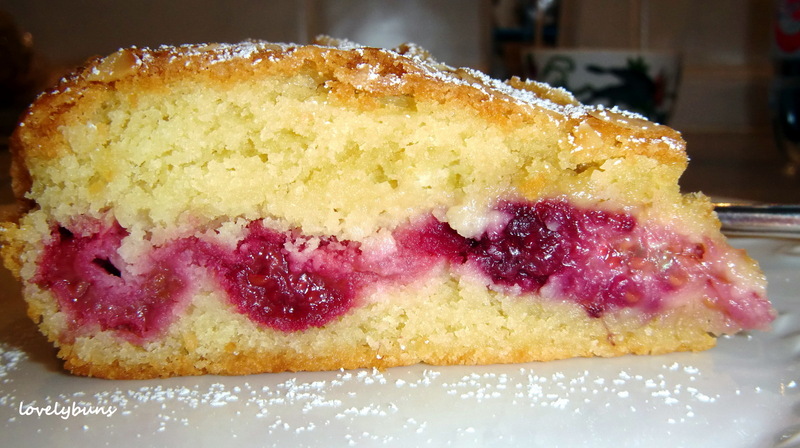 It’s lovely with a simple cup of tea or as a dessert after a BBQ. I made the mistake of reading this when my father was present. He came by and saw the pictures and title and proceeded to beg me to make this. Needless to say, it must occur. Look delicious! I hope you do, it’s not difficult and always impressive! Oh YUM. I can almost taste this! It looks and sounds amazing, especially with that wicked plop of cream on the side. Definitely on my ‘recipes to try’ list. Thanks, I hope you get round to making it, it is VERY good.